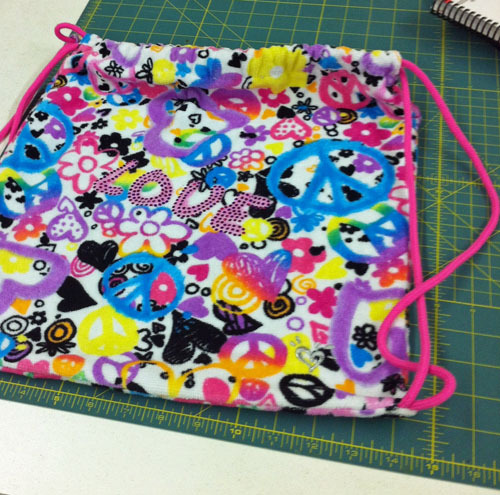 If you would like a quick project for your campers to sew, try making these easy backpack bags. 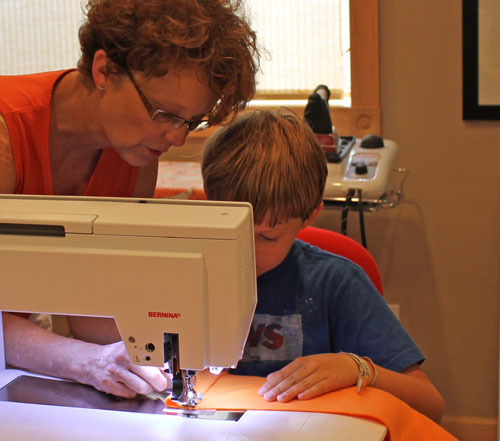 Have your fabric and cording cut, walking foot, (BERNINA Walking Foot #50) on the machine, and lots of helpers. 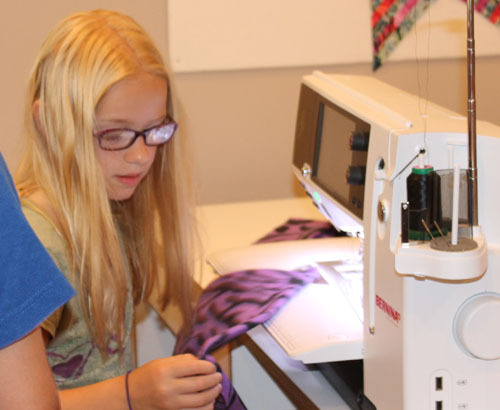 These can be made with success by even the youngest camper with a little help from an adult. • Cut fleece in two 17” x 15” rectangles. 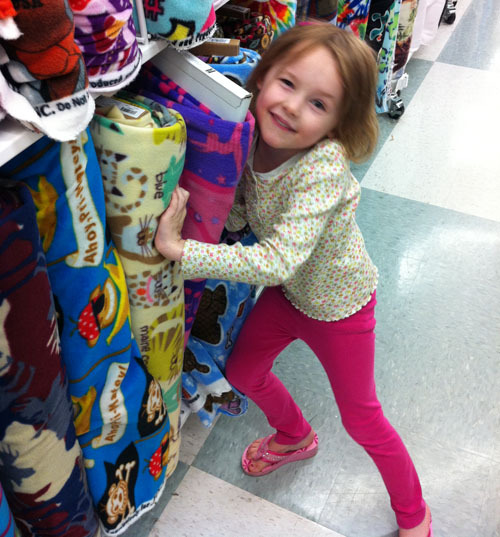 Choosing a fabric that doesn’t fray makes it easy. • Cut two pieces of cording 30” long. • Make the casings: Turn under one short end of each rectangle 1½” and stitch down using your walking foot or BERNINA Dual Feed. • Place the rectanges wrong sides together. Thread one 30″ cord left to right through the casing in one rectangle, then right to left through the other. Thread the second 30″ cord right to left through the casing in the first rectangle, then left to right through the other. There are now cords ends coming out on each side. Test to make sure the rectangles cinch up when you pull the cord ends. • Lay the rectangles right sides together, with the cords between them. Place the ends of the cording on each side 1” up from the bottom edge. The bulk of the cords will stay tucked inside the bag when you sew the side seams, with the raw ends sticking out the sides. 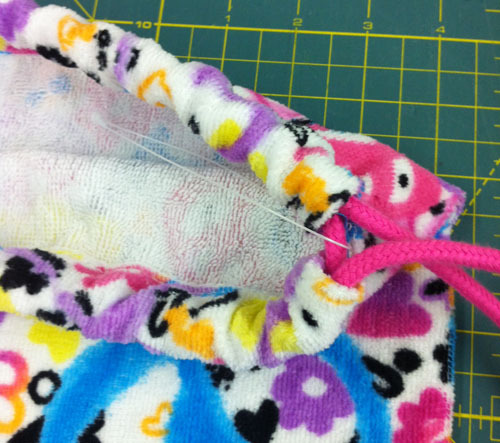 • Sew the sides and bottom together starting and ending just below the casing seam at the top of each side. • Turn the bag right side out and pull the drawstrings. You have a quick and easy backpack for carrying your favorite things! Next Next post: Sunrise Baby Quilt: Bind It! 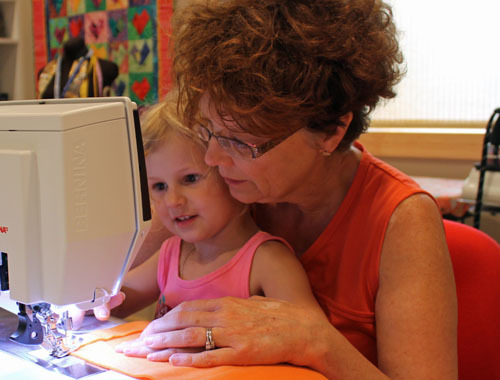 ‘Love the idea of Grandma camp!